Apple’s annual weeklong Worldwide Developers Conference (WWDC) kicks off June 13 in San Francisco, in which the company unveils iOS 10, the next-generation operating system for iPhone/iPad/iPod touch. Apple CEO Tim Cook described iOS 10 as the “biggest release ever” for iOS users, and the operating system includes major updates for a wide variety of apps, services, and features, including Messages, Siri, Photos, Maps, Apple Music, News, Apple Pay, Control Center, and more. 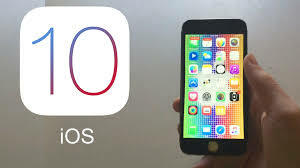 Now, I will show you ten major new features and redesigns for iOS 10 in the post below. There is a redesigned Lock screen in iOS 10, which supports new rich notifications that support deeper interactions and more information without unlocking the iPhone or iPad. And there’s a redesigned Control Center that supports 3D Touch on the iPhone 6s and iPhone 6s Plus. The Notification Center is now available by swiping left on the Lock screen to display all of its widgets, and swiping right offers quicker access to the camera. Apple is opening up Siri to developers. With “SiriKit,” Siri now can be built into third-party apps, significantly expanding the capabilities of the personal assistant, which can be used to send messages in third-party apps. For example, you’ll be able to ask things like “send a WhatsApp message to Emily saying I’ll be ten minutes late.” That brings up an interface to interact with WhatsApp directly. Supported apps already include: Slack, WeChat, and WhatsApp for communication, as well as Uber, Didi in China, Runtastic, Runkeeper, MapMyRun, and Skype (among others) for VoIP calls. Photos app in iOS 10 includes a new “Memories” tab that is designed to help users discover favorite and forgotten moments. Memories scans all of a user’s photos and videos to find people, places, and things, and group them up intelligently. Advanced facial recognition capabilities are able to group all photos of a specific person, and Photos can also aggregate images based around specific trips and locations. Live Photos can be edited in iOS 10 for the first time with new Live Filters. The phone will cluster together photos that are most relevant at any moment — trips, photos of the last weekend or last year. It can then automatically edit together highlight reels of particular trips or events. It’s just like HTC’s Zoe photos. Apple Music has be complained by many users, now it is also redesigned in iOS 10 to make it simpler and easier to use. Tabs include “Library,” “For You,” “Browse,” and “Radio” to make discovering new content easier, and there’s a new “Search” tab to make it simpler to search for songs and albums. There’s also a new focus on Lyrics – swiping downwards on a song that’s playing displays the lyrics. All the redesigns will make the new user interface much cleaner than the old one. In iOS 10, Apple is adding new proactive features to Maps along with a completely new redesign. So for example, your iPhone knows you typically go to work around the same time so if you open Maps around then, it’ll offer to guide you around traffic to work. That’s right, Maps now offers traffic on route. Proactive location features will also give you quick access to nearby restaurants when you open the app around dinnertime, for example. Apple also announced Maps Extensions, which are available to third-party developers. For example, if you search for a restaurant you can use an Open Table extension to make a reservation. Then you can use an Uber extension to book a ride — all without ever leaving Maps. iOS 10 is also equipped with a new Home app to control HomeKit products. The new Home app lets you turn on lights, unlock doors, and even raise your window shades — all at once if you like. All of your HomeKit compatible accessories can be controlled in the Home app. It supports all the features most smart home hubs support, including scenes. For example, a “good night” command can draw all your blinds and turn off all your lights. HomeKit device controls are also being added to Control Center, and you can use Siri commands to control anything that can be controlled in Home. Messages is one of the most frequently used app on iOS. It’s getting rich links in the new iOS version, allowing things like videos to play right in line inside the message. Emoji have been made three times bigger and, much to the crowd’s delight, Apple is going to highlight “emojifiable” words, which you’ll be able to just tap and automatically turn into emoji. Just like Google’s Allo, iOS 10 will allow you to say things using larger or smaller type. Messages is also getting bubble effects, which are just cute animations when displaying messages. Apple Music is integrated into Messages — can play a track right in line. And just like Maps and Siri, Messages are being opened up to developers with iMessage apps. Apple News is also being redesigned with new distinct sections that make it easier to find stories concentrated on a single topic. There are also breaking news notifications and support for paid subscriptions. The For You tab now breaks news into personalized topics and hand-picked stories by editors. The Phone app on the iPhone is also evolving, in iOS 10, it will have voicemail transcriptions so that you can see what messages have been received without having to listen to them. Additionally, the app can now detect when an unknown caller is potentially phone spam and will label those calls as such. A new VoIP API lets VoIP apps integrate into the Phone app, the lock screen and more, just like regular voice calls. This optimization for Phone app is especially aiming at China’s users’ issues, and Tencent Security provides the technical supports. Other new features include Rise to Wake feature, Apple Pay on the web, a side-by-side Safari split view on iPad, Notes collaboration, Quick Type enhancement, and a BedTime Alarm to schedule reminders to go to bed at a set time. There are dozens of smaller changes, which we’re listing in our dedicated Tidbits post.